How do you make a great book even better? That was our challenge when we started working with photographer Yoshikatsu Fujii and editor and curator Yumi Goto on the trade edition of Red String. The book has been one of our favorites for quite some time, and many felt the same (it was a finalist for the First Photobook Prize at the Paris Photo-Aperture Foundation Photobook Awards, the winner of Encontros da Imagem, and is on the short list of the Anamorphosis Prize, among other things). But with just 35 copies made, it was extremely limited. Our new edition will include some never before seen images, an update on the family, and new details to the edit and design. We’re enhancing everything, while staying true to the original book. We can’t wait to reveal it, and have a copy available for every shelf. 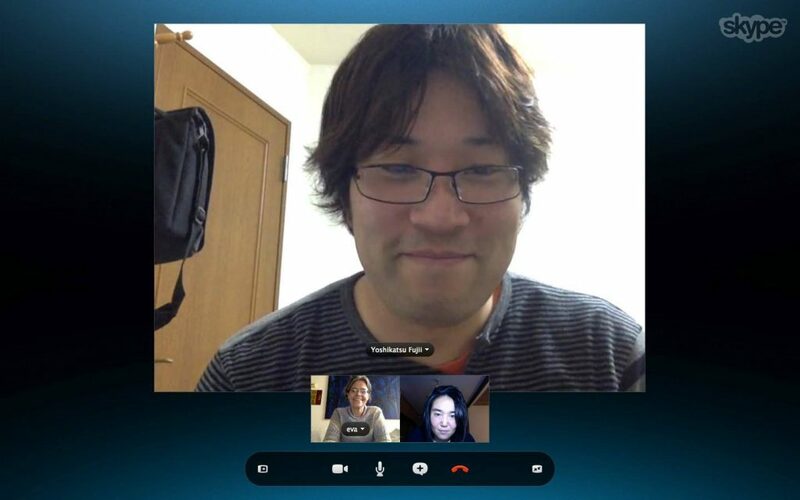 We sat down with Yoshikatsu to discuss the book, his parents, and his hopes for the new edition. Tell us why you felt it was important to do a new edition of Red String? We really got a lot of requests to purchase the book, but we had only a few artist proofs of the original edition of 35. When making them by hand, that was our limit. I had always wanted more people to see my book. The book is deeply personal, yet it resonates with so many people. 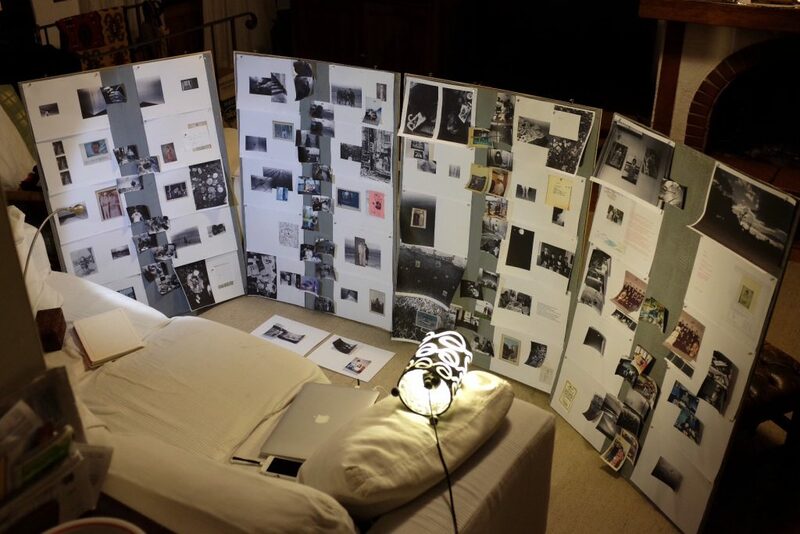 Why did you feel that the photobook was the best medium for this project? 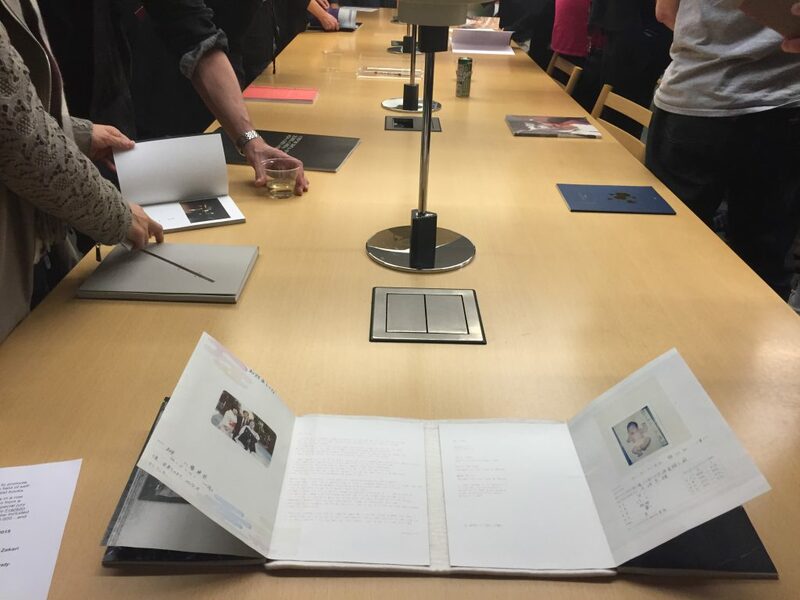 Photobooks are not just something to look at, but also something to enjoys through touch. The tactile feel of the material alone is an excellent way to express feeling, and the simple act of turning a page can transfer expression to the appreciator. Photo editing is important, but I also spent much time on selecting answers to “What kind of paper should it be printed on?”and “What material should the cover be?”. How did your mother and father react to seeing the book? Both of them were puzzled at first. I don’t know if I was able to communicate my feelings towards them with this book, but right now they are supportive of my project. 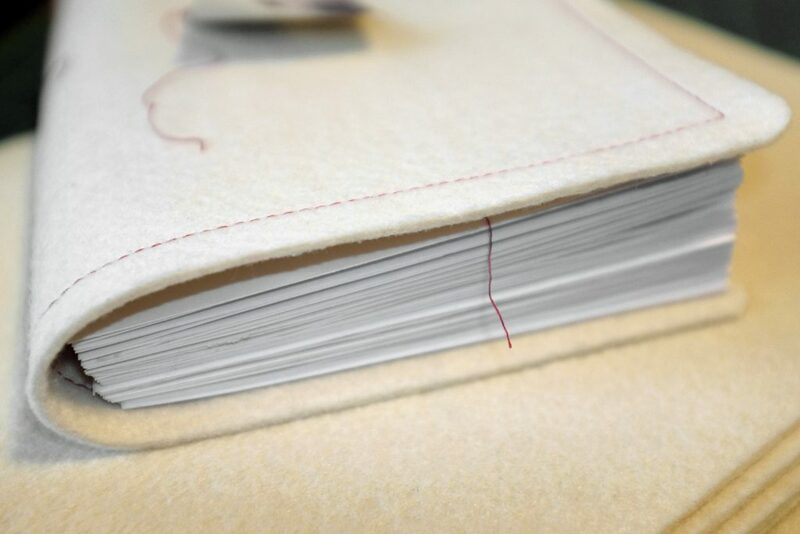 There are so many details within the book that we love – the feel of the cover, the mixing of old and new photographs, the red string strung throughout. In the original edition of 35, copies were available with different photos on the cover (one of your parents in Japanese wedding clothes, and one of them in Western wedding clothes). What was the reason behind this? In Japanese wedding ceremonies, sometimes the bride and groom will change from Japanese to western clothes midway through the ceremony. I think this is a custom unique to Japan. It seemed there was a clothing change at my parents’ wedding, so I tried including the idea. What are your hopes for this new edition and what can people expect from it? With this new version, I’m able to preserve the handmade details while adding new photos that can add further substance to the content. This work may be a personalized narrative for myself, but “family” is something that everyone has – a universal theme. There is nothing happier for me than if viewers can insert their own families and freely appreciate the work. Thank you so much to Yoshikatsu Fujii and Yumi Goto for a great collaboration! The book will be available for pre-order soon! To keep up to date with ceiba news and to find out when you can order, sign up for our newsletter.